A Healthy lifestyle is truly the greatest gift you can give yourself! Without optimal health it is virtually impossible to live your life to its fullest potential. We would like to introduce a few all natural products that you may use to care for your skin and maintain your wellness goals. 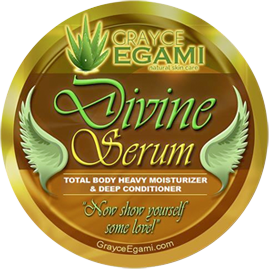 Our all natural handmade salve, the Divine Serum™ is great for all skin types, especially for drier skin. To assist our customer’s in taking good care of their skin, we also offer powerful supplements, wholefood nutrition, and environmentally safe cleaning solutions. We love taking care of our skin using all natural products, and truly look forward to taking good care of yours! The Board of Certification provides excellence in certification of laboratory professionals. The ASCP Board of Certification (BOC) is a recognized leader in certification of medical laboratory professionals. By earning credentials from the ASCP BOC, laboratory professionals demonstrate their competence to carry out their responsibilities in this profession. *This product does not guarantee to deliver the same benefit to all consumers. Images shown are visual testimonials of the benefit our customers received while using our handmade natural skincare products.